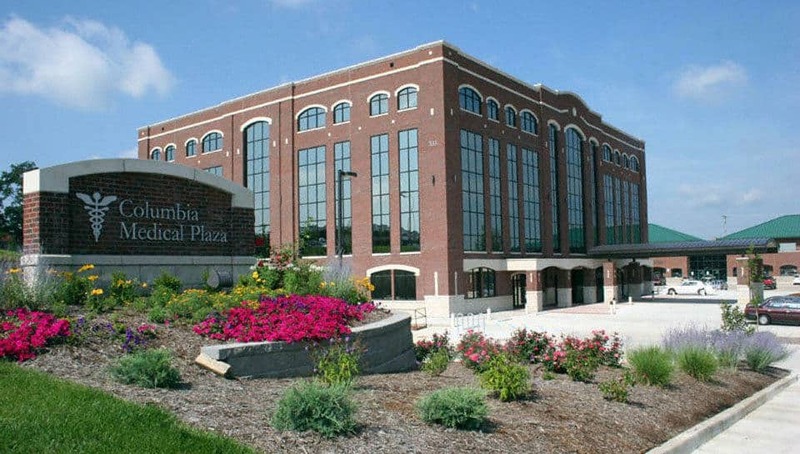 Columbia Medical Plaza - PWArchitects, Inc.
PWA worked with the developer on the design-build of the traditional 69,000 square foot four-story Columbia Medical Plaza. Each office suite of this $7.6 million dollar facility is customized for the tenant who has secured, covered parking that provides convenient and discreet access to the facility via twin high-speed hydraulic elevators allowing quick travel to their offices above. Amenities also include a 1,200 square foot private workout facility. Lunch or a break can be enjoyed in the quiet setting found at either of two patios located on-site. All after-hours entry is conveniently handled through a state-of-the-art electronic access control system, requiring only the swipe of a key fob to unlock the exterior doors. Additionally, the structure has been designed to hospital specifications: each floor has been engineered to handle heavy medical imaging equipment and provisions have been made for the installation of backup power systems. Suites are custom-designed for each tenant and feature ceiling heights of nine feet or greater.